As you know, West Nile virus is already endemic in Contra Costa County. 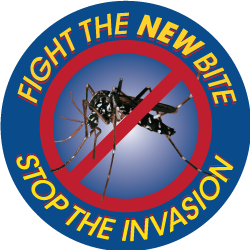 What we do not want are new mosquitoes capable of transmitting Zika, dengue fever, chikungunya, or Yellow Fever viruses here in Contra Costa County. And right now, these mosquitoes are only two counties away, so the time is now to get the word out on how to prevent these new invasive mosquitoes.